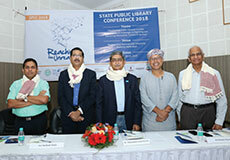 Indian Public Library Movement and DEF organised the State Public Library Conference in Telganana in collaboration with the Government of Telangana and the Maulana Azad National Urdu University (MANUU). The aim was to bring together relevant stakeholders to exchange views in an effort to develop strategies to digitally transform public libraries into 21st century information, content, knowledge and resource centres. 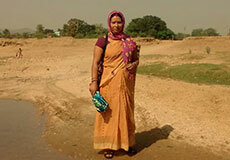 Ritu Tudu, from Santhali caste in Ranchi district of Jharkhand, can speak four languages— Santhali, English, Hindi and Nagpuri. 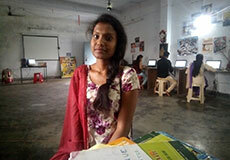 A first-generation computer user, Ritu recently joined the nearest CIRC to learn new skills. She doesnt just want to learn the basics of computers but wants to master typing in Hindi and English, for which she finds team while taking breaks from her preparation for competition exams. Rakhi Kumari is an Internet Saathi from Jamui district of Bihar. As a Saathi, she goes from one house to another every day, enabling more and more women to experience technology, particularly the wonders of a smartphone. However, it’s not an easy job for her either. Firstly, she has to fight the social norms that are bound by patriarchy. Secondly, she has to travel to villages that often don’t even have proper roads leading to them. She’s even been to villages that could only be crossed by walking through a shallow river, literally, due to the absence of any bridge. And it’s harder for the residents of this village. Anjali, an Internet Saathi from Guna, Madhya Pradesh, is pursuing her Bachelors in Hotel Management, and spends her free time empowering people especially women and introducing to the opportunities the Internet has to offer. She feels a healthy woman is a sign of a healthy household and a healthy community. 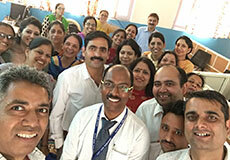 DEF conducted a group-facilitation workshop for teachers of all five schools of Ambuja Vidya Niketan in Himachal Pradesh. All the schools are present in far-flung areas. However, the remote location of the schools didn’t prevent the students from being pro at technologies, wherein the teachers were out-of-sync, creating a huge communication gap between them. 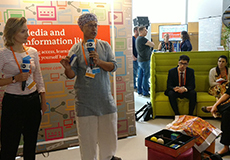 In August, DEF showcased its work on Digital Media and Information Literacy (DMIL) at MIL Expert Network (MILEN) in Bonn, Germany and presented START, a digital learning toolkit, developed after years of experience in imparting functional digital literacy through training and workshops in rural and tribal communities. It is designed for first-generation technology users to nurture skills, which would help them apply digital tools in aspects of everyday life.